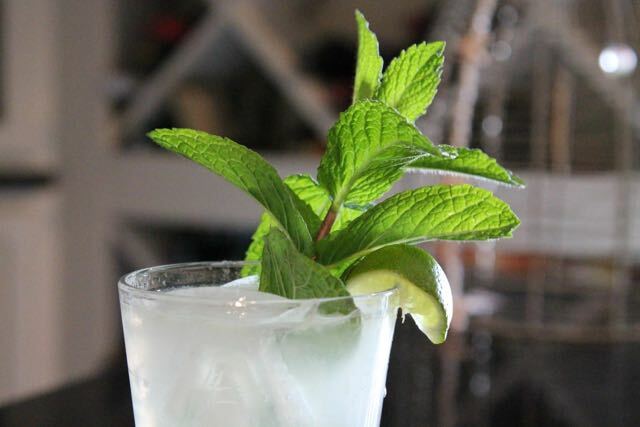 Spring is here and we like to celebrate by making a mojito – or better yet, a pitcher of them. I know spring has arrived by looking at my mint patch. 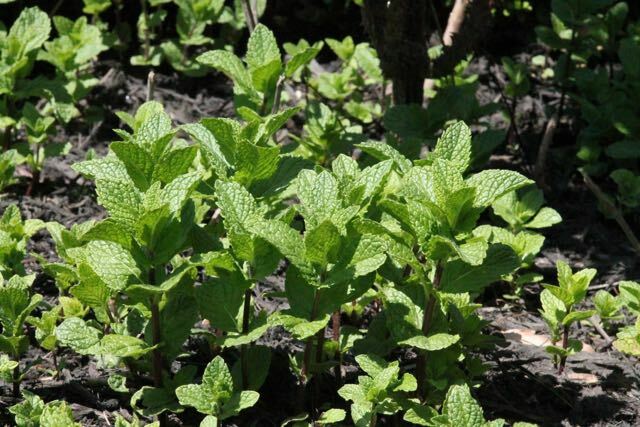 The mint is the first thing that comes up in the garden and it looks amazing – It smells even better. Mojitos are a bit labor intensive so we would shy away from them when we had people over but this method gives you the luxury of preparing a pitcher in advance. 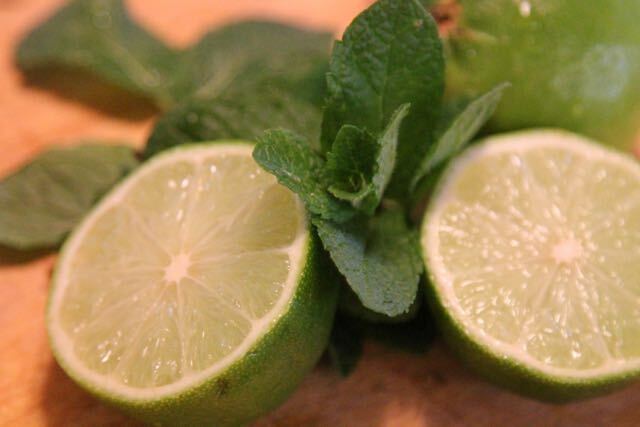 Usually you muddle mint, lime wedges and sugar together. Steve has done this, and they are really good but then he is stuck behind the bar. 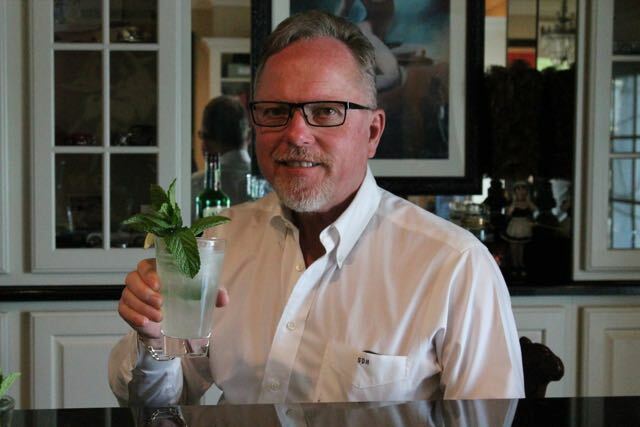 We love to entertain and Steve prides himself on being the bartender. He prepares a batch of cocktails for our friends to enjoy as they arrive and mingle. His trick is to have everything ready so he can enjoy the cocktail hour too, not stuck behind the bar. We’ve learned the making our own flavor infused syrup is the key to a great drink. In this case I dissolve 2 cups of sugar in with 2 cups of boiling water and throw in about 2 cups of mint sprigs. Cool the mixture, strain, and it will keep in the refrigerator for up to a month (if it lasts that long). 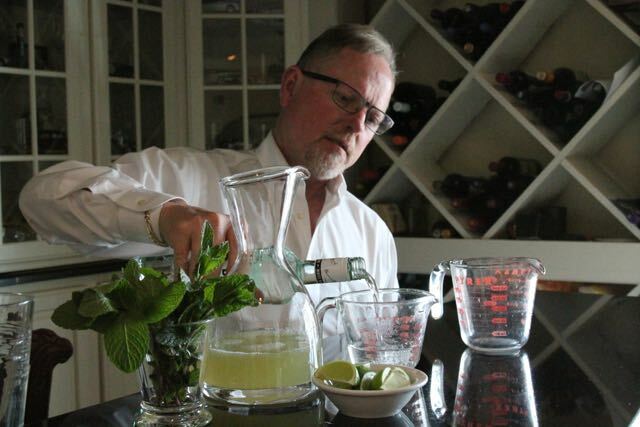 Then Steve can measure out his mint syrup, lime juice and rum into equal amounts, stir it into a pitcher. 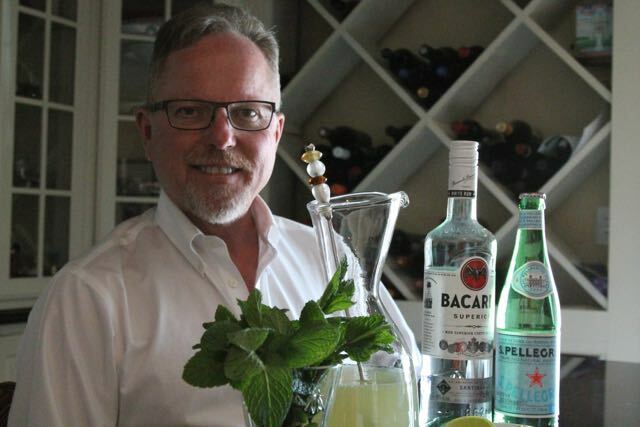 When he is ready to serve he pours ¾ cup into a glass of ice, tops it with sparkling water, garnishes with mint and lime and voilà – he hands you a mojito. This method makes him a rock star but don’t gush over them too much – it will go to his head. Mix the mint syrup, lime juice and white rim in a pitcher. Cover the pitcher, refrigerate until ready to serve. Measure ¾ cup of the mixture into a glass of ice, top with sparkling water, garnish with a mint sprig and lime and enjoy! 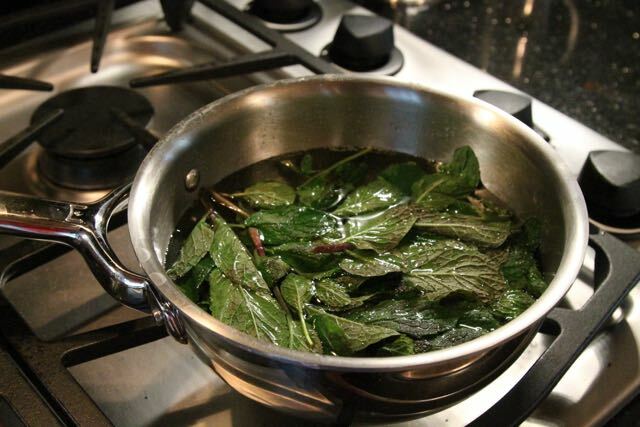 *To make the Mint Syrup: Dissolve 2 cups of sugar in with 2 cups of boiling water and throw in about 2 cups of mint sprigs. Cool the mixture, strain, and it will keep in the refrigerator for up to a month (if it lasts that long). I love Mojitos! I can’t wait for the weather to get stable so I can pot some in my herb garden! Your mint surely is well on its way to being fully grown. Ours is still in the cold earth, but your Mojito looks fresh and delicious. I should make them for tonight. OR right now! My mint is just returning to life! I might have to break out a pitcher and make a batch. I love mint with just about anything 🙂 This looks amazing! Great idea to start with mint syrup! Our garden runs over with mint so we have plenty! Love mint and mojitos. I have made simple syrup, but I have never put the mint right in it. I bet that is a game changer. 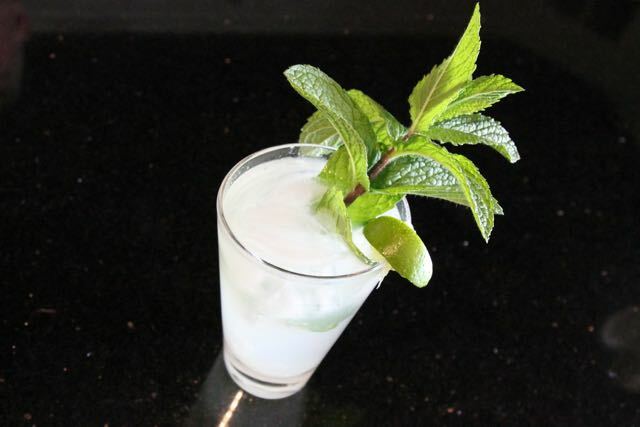 I love the idea of making the mint syrup ahead of time! What a lovely mojito!! I haven’t branched out to making mojitos, but I will now! 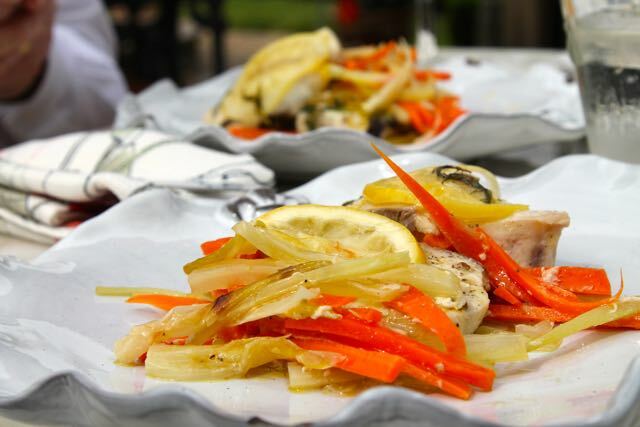 Starting with this recipe. Sounds delicious. 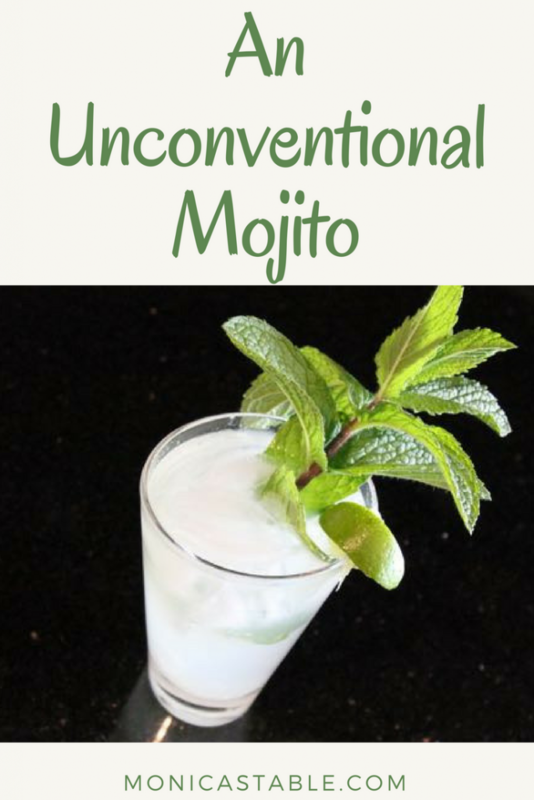 This Mojito sounds like a party starter! You were reading my mind. 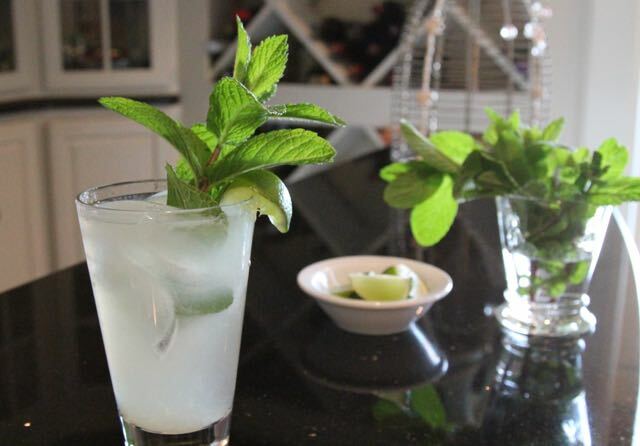 Great time to start Mojito’s for our neighborhood gathering on Friday afternoons at our local park. It has been Hot here in south Texas, this will be a big hit I am sure. I have to admit, I have never had a Mojito. After reading this, I think I will have to try it. It seems like the perfect warm weather during.